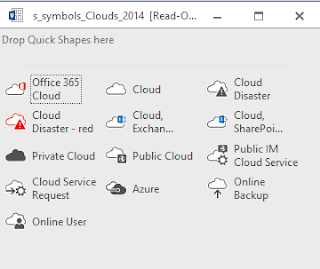 These stencils contain more than 300 icons to help you create visual representations of Microsoft Office or Microsoft Office 365 deployments including Skype for Business, Microsoft Exchange Server 2013, Microsoft Lync Server 2013, and Microsoft SharePoint Server 2013. The zip file now includes both stencil sets from 2012 and 2014. The zip file now includes both stencil sets from 2012 and 2014. If you want only the latest stencils, download the "2014" file. 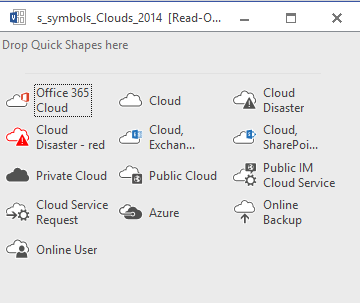 If you also want the older symbols, download the "2012and2014" file which contains both sets.